Hope you had an amazing Christmas!! It was our first in a house with lovely big fireplaces, so we were able to really get into the Father Christmas thing!! 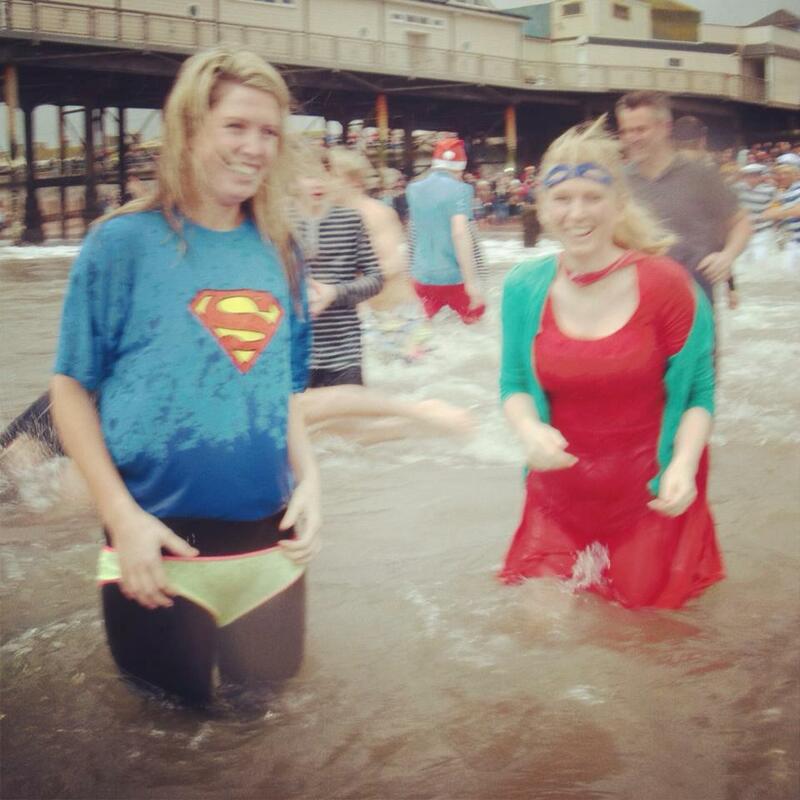 Here in Devon, a few towns have the unusual tradition of getting locals in fancy dress to run into the sea on either Christmas or Boxing Day. I didn’t brave it this year, but did it for the first time last year – here’s a picture! Have you ever thought about a career in Early Years?